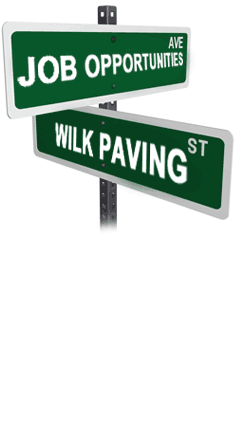 Wilk Paving Inc. provides opportunities for motivated and experienced asphalt pavers and truckers. Interested in Working With Wilk? positions become available in the future. and customers trust in the experience and of knowledge that WILK paving employees bring to their job. We work hard to provide a safe and rewarding environment for our employees. Please stop by our office located on Business Route 4 in Rutland, VT, or send us your resume with a letter of interest. For directions to our office, please click here. For more information or to make an appointment, please call 802-438-5454. Our employees are the face of the WILK Paving, Inc. when they're on a job site. Wilk employees are professional and courteous to co-workers, supervisors, and customers. Individuals are required to wear personal protective equipment in designated operations and production areas.​ Protective equipment that may be required, but not limited to, for open positions include: gloves, hard hat, reflective vest, safety (hard toe) shoes, and seatbelt.